Is There Gambling in Cancun? Cancun has long been a destination for laying on the beach, soaking in the sun and partying until the sun rises. Until recently, gambling was not legal in Cancun. However, recently, Mexico changed the laws and now casino gambling in Cancun is legal! The Oasis Cancun touts itself as the entertainment resort. They back it up with the Dance U featuring weekly concerts during Spring Break in Cancun. The Oasis Cancun has upped the ante with the addition of the Red Casino, the first casino located in a resort in Cancun. The Red Casino in Cancun spans two levels in the Pyramid section of the Grand Oasis Resort, with a variety of slots, table games and a sports book. There are several bar areas with large screens to catch the Sports of the day. There is a large variety of slot and video bingo machines throughout both levels of the casino. 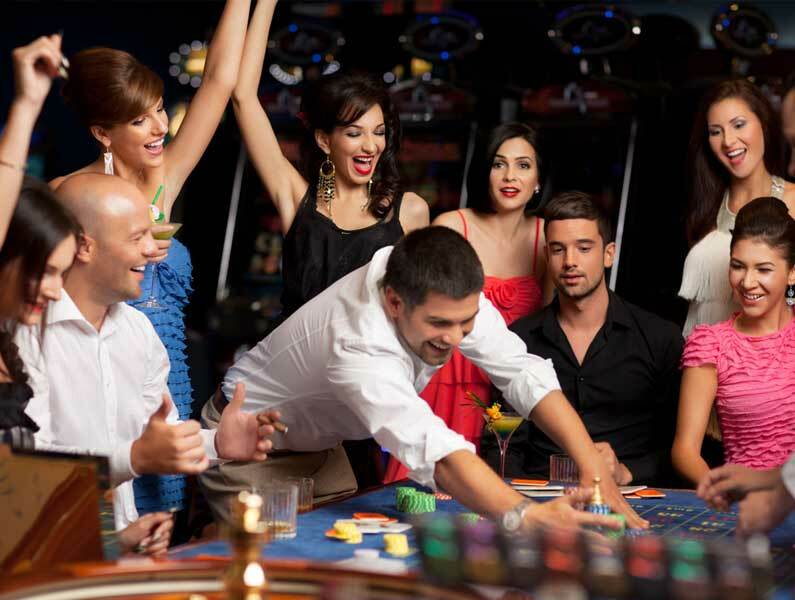 Table games include blackjack, Caribbean Poker, roulette, craps and poker. The sports book takes bets on the daily sport events, horse racing and greyhound racing. The Red Casino is open to all guests of the Oasis Cancun resort. During our recent visit to Cancun, we tried our luck on the craps table and Caribbean poker. The staff was fun, entertaining and even occasionally very generous with their deals. The night was highlighted by a set of four sixes that paid a cool 10 to 1 on the bet. Behind us was a Texas Hold Em tournament with 30-40 people protecting varies sized stacks of chips. The 300 peso buy in, was more than reasonable for a friendly evening of gambling. The Red Casino is separate from the resort in that the all-inclusive program does not extend to the Red Casino. Drinks are reasonably priced and the waitresses are quite attentive. All gambling is in Mexican Pesos and the exchange rate in the Casino is terrible. We recommend exchanging your money elsewhere before heading to the casino. To play in a casino, you should show an official photo ID and be at least 18. Anyone who appears to be under the influence of alcohol or drugs will not be allowed to gamble. In Mexico, there are no state or federal withholdings on winnings. Major sports gambling is perfectly legal in Mexico. Bets are taken legally on the NFL, NBA, collegiate and other major sports.